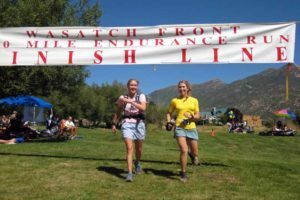 The course was 33 miles or so this year, starting and finishing to the right on the map and loosely following the course in a counter-clockwise direction. It climbed more than 7,000 vertical feet before it was done. Click to enlarge. Another summer, another calendar full of running races. When we registered for the Golden Gate Dirty 30 back in February we knew it would be a long shot to get properly trained for a trail 50K by the end of May. Our main focus through the spring is always skiing, and there just isn’t enough time to get in the miles. But that’s how it always is. Actually, this was our fourth year in a row showing up somewhat under prepared for this event. We don’t do it to punish ourselves, we see it as a mandatory training. The start of the summer race calendar overlaps with the tail end of the spring ski season and we’re always caught in the middle. I honestly think we like it this way— no wasted time, just a quick transition from one season right into the next. It took all day but we made it. And the next season is already here. In three weeks we’ll be at the San Juan Solstice 50 miler again, and three weeks after that I’ll be at the Hardrock for the 7th time, with one of the most competitive fields the race has ever seen. In August we’re heading to Switzerland to run the Sierre-Zinal, a true European classic and a race that we’ve always had on our bucket list. And we always keep open the option for some late fall races, but there’s no need to decide on those right now. 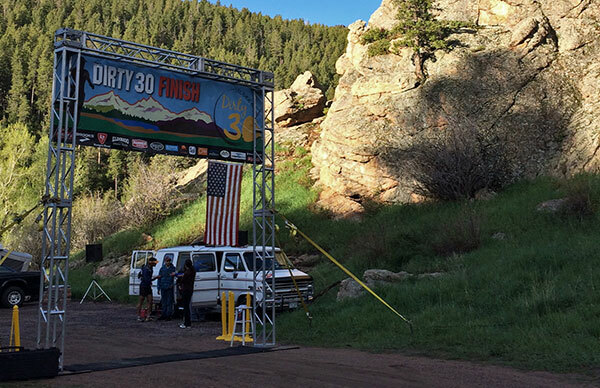 Even though there were no top finishes or age groups awards, and we were both pretty far off our personal PR’s, the Dirty 30 was great. Nothing cleans out the cobwebs after a winter season than that first race. So having set the bar nice and low last weekend, we look forward to faring better at the upcoming events this summer. I sure hope we can. Thanks for the interesting blog. I’ve enjoyed reading it over the years. I’m looking for some advice. 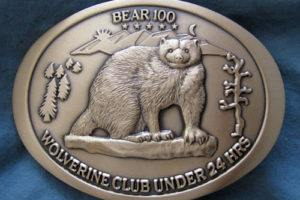 I’ll be in Aspen in a few weeks and want to do a training run in the 20 mile range or 3 – 3.5 hrs depending on elevation change. I’ve run up Aspen mtn before, also Hunter creek, but not for more than a few miles. I like both of these but looking for the best loop, or out and back to go the above distance. I won’t have a car so need it to be close. Thanks for your help. From town the best options are up in the Hunter Creek area. 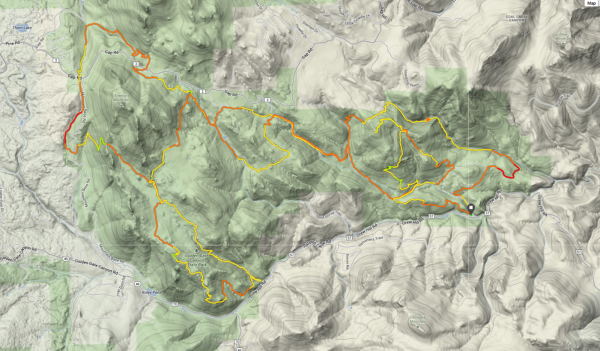 Sunnyside, Four Corners and the Hobbitt Trail and Plunge could give you 18+ in a loop and would be really fun. It’s a bit involved w directions, I’ll PM you about it later.